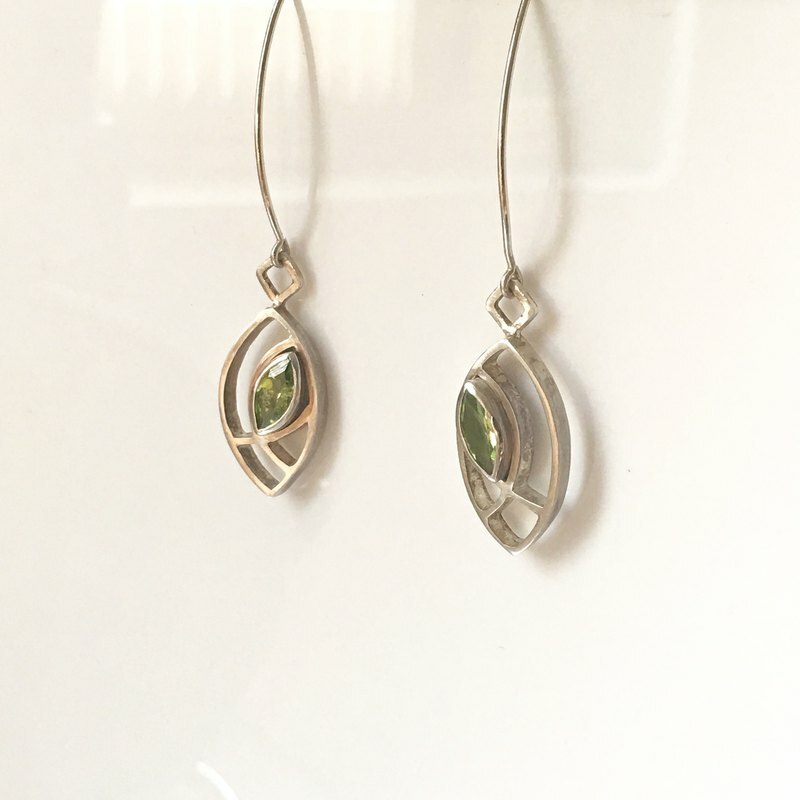 Natural peridot gemstone earrings, handmade, designer original creation. Product Size mm / 14x35 earring hook length 30 mm Gemstone Size mm /9x4 pair ♥ Welcome to Emily Hung Handmade Jewelry♥ 925 Sterling silver and nature gemstones! I am making affordable jewelry with personal style for daily wear (Light Accessorized), and believe that jewelry not only belongs to celebrities and collectors but also to the one who simply love to wear stones. Hope you enjoy my design and love to share my passion for jewelry with you!